Turning an energy hog into an efficient home. When it comes to being green, Kermit the Frog has nothing on Cincinnati Zoo Director Thayne Maynard and his wife, Kathleen. 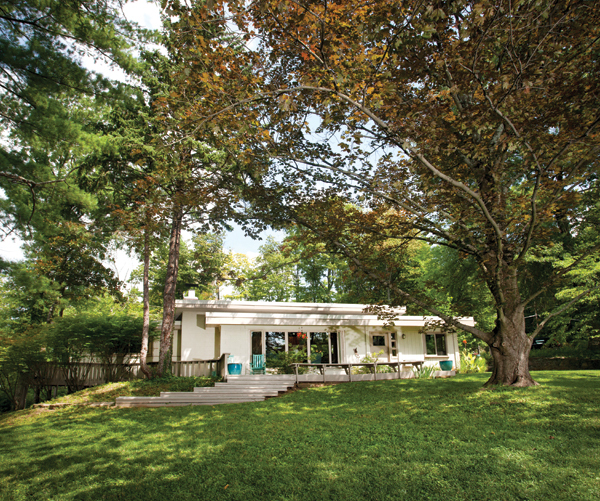 Their mod cabin-style home, built in 1953 and located on a 230-acre hunting-lodge-turned-nature-preserve called the Hermitage Club, was the couple’s first official “empty nest,” purchased in 2007 when the youngest Maynard child graduated from high school. After moving in, the Maynards discovered that the home was far from energy efficient; heating bills were upwards of $350 per month most winters. At first, “I thought, What could one person do?” says Kathleen. But when the couple’s oil furnace died, they switched to propane—and their heating bills lowered considerably.